Two races were held yesterday in moderate winds around 10 kn on Palma Bay to select the 10 best for today’s Medal Races. 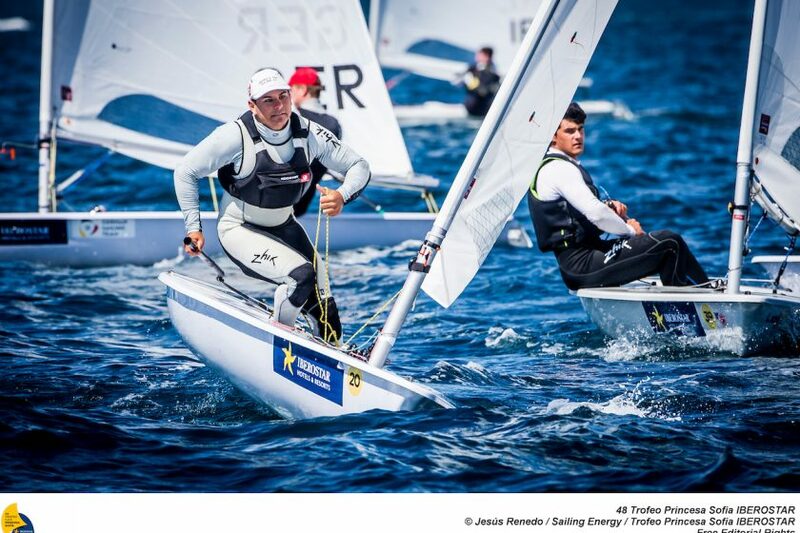 In the Lasers Standard, Elliot Hansen GBR is now in a clear pole position with a 7 points’ lead on Francesco Marrai ITA, the only one with mathematical chances to enthrone the leader. Nick Thompson GBR is on a solid 3rd position. Leader change in the Lasers Radial with Dongshuang Zhang CHN on top just one point ahead of Viktorija Andrulyte LTU. With a 9 points’ backlog, Monika Mikkola FIN has theorectical chance for an overall winn as well in the double-points-no-discard Medal Race.